Visit Govan Old Parish Church to discover their unique collection of early medieval carved stones, which date from the 9th – 11th centuries and commemorate the power of those who ruled the Kingdom of Strathclyde. 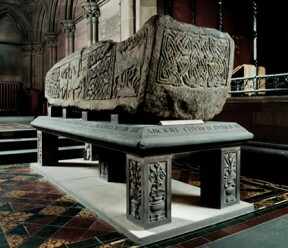 The Govan Stones are one of Glasgow’s most important historical and cultural assets. During 2012 a new project will bring significant improvements to the display and interpretation of this notable collection and aim to increase visitor numbers and public awareness. More information can be found on the Govan Stones website.